PennsylvAsia: 2018 animated film Maquia: When the Promised Flower Blooms (さよならの朝に約束の花をかざろう), in Pittsburgh (and dubbed in English) September 23. 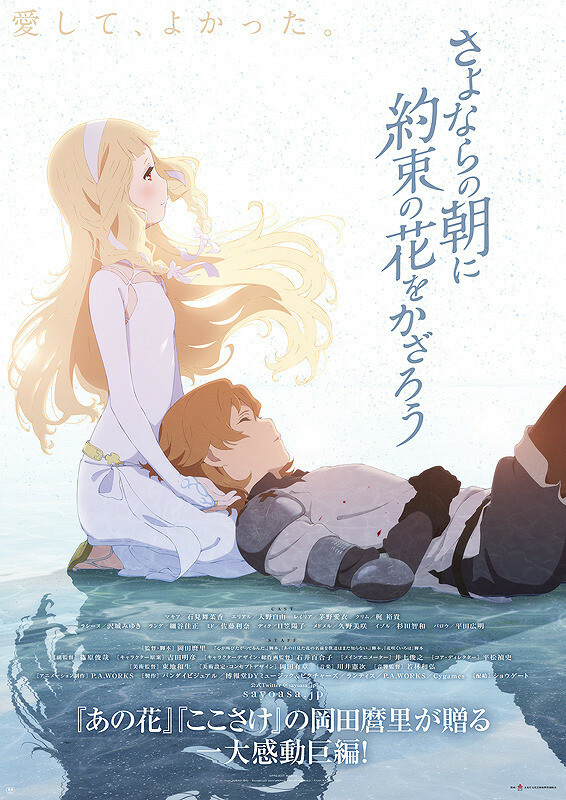 2018 animated film Maquia: When the Promised Flower Blooms (さよならの朝に約束の花をかざろう), in Pittsburgh (and dubbed in English) September 23. Maquia is from a clan where all the members stop aging in their mid teens. She has no parents and, although her days are peaceful, she feels lonely. Their peace is shattered when an army invades, seeking the secret to her people's immortality. Leilia, the most beautiful girl in her clan, is taken away, and the boy Maquia has secret feelings for disappears. Maquia is able to escape, but she loses her friends and her home. Wandering alone in the forest, she finds Erial, a baby boy who has lost his parents. The story follows the changing relationship between the two as Erial grows up and Maquia does not. The movie first played in Pittsburgh in July, premiered in Japan on February 24, and was the fifth-highest-grossing movie there its opening weekend. Tickets for the 7:00 pm show are available online. The theater is located at 425 Cinema Drive in the Southside, one block from the Hot Metal Bridge (map).